You remember my Spearmint coats, right? The first one I made with no FBA. I didn’t even lower the bust apex- something I did with the second one, which made a really nice difference in the fit around the bust. I didn’t do an FBA because of the pieces that would have needed to be adjusted. Namely, the lining. I also saw how the front didn’t close all the way and so I figured the fit in the bust would be less apparent. I will do an FBA on a woven top when it’s fitted and when I think it might look tenty coming off the bust apex. Even though I didn’t think my Sugar Plum would look tenty, I did want the bodice to line up with the midriff while adding the needed room for the bewbs so FBA it was! I know I just said I FBA wovens…but I didn’t FBA my Lekala blouse. In part because I wanted to test out the made-to-measure component of ordering from them. The fit ended up really nice although an FBA would give more definition in the underbust area and down the waist. Granted, I could still take in the seams in the front waist area which would then really keep from needing to bother with an FBA. 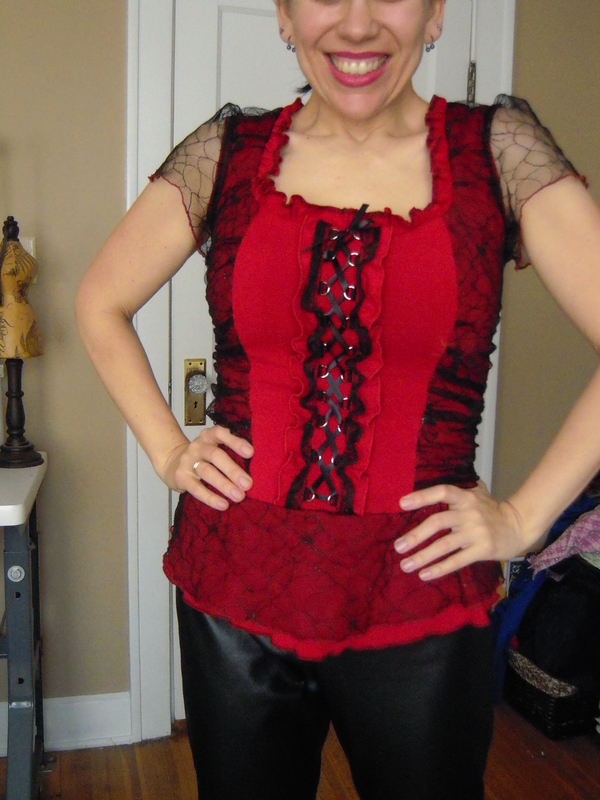 Another make I didn’t FBA but cheated and added more seam allowance to the front bodice was my Colette Hawthorn. There are details on the blog post but really, I just added to the front and then cut a smaller size for the shoulders and underarm to make it fit better. An FBA would make it fit closer but I like the way it turned out. I know I’ll be making another one once the warmer weather starts up. Another Colette make that where I skipped the FBA was one of my three Violets. With all three, I cut a larger size in the front and a smaller back. It’s a quick way to give you the room you need in the front and a better fit in the back- if you don’t need more room in the back, of course. However, Violet is a blocky blouse and unless you’re using a flowy material, it’s gonna tent if you don’t do an FBA. I’m actually pretty sure I won’t make that pattern up again just because it’s not a look I go for- though it looks really cute on a lot of people- and doing an FBA on it to make it more fitted goes against the design of the blouse itself. So, if I wanted a fitted blouse and wanted to FBA it, I would choose something that, in the design itself, was more fitted. I’m talking princess seams, waist darts- that sort of thing. With knits, I tend to also cheat at just add to the side seams right at the bust and grade back to my size for the waist and hips. It seems silly to me to FBA something that has stretch in it. Length, now that’s a whole other story. I will take out length from the back a lot of times to get a really nice fit just below the indent of my waist. I’m kinda into the back fitting really well. Go figure. With the first two Gunmetals, I added to the side seams at the bust but by the third one- the dress version I made- I took out the bust side seam extras. Can you tell a difference? When do you make alterations, be it an FBA or other adjustments and when do you just skip it? most of my alts are length, so i make those on the flat pattern with a bit of measuring before i do anything else. i also normally move the bust dart down. with a woven i’ll generally FBA at this stage. my FBA is so small that i never bother with it for knits. I’ve very similar fitting issues as sewlittletime. It took me a long time to realise that I need a small fba and a wide back adjustments to get woven tops with sleeves to fit. I’m just coming round to accepting that things fit me better with a FBA. I try to do them when I want a snug fit. I work a lot with princess seam patterns, seems to make it easier for me to make a FBA. I have to admit I am terrified when it comes to fitting garments.And with Simplicity’s Amazing Fit patterns I do find fittings are not as bad. All the blimmin time! But my upper bust is 38″ and my full bust 46″ so I can’t avoid it really! Up until recently I have been making my garments a bit too fitted, just because I was so afraid of making an FBA. But after taking a class on fitting on craftsy and seeing how easy it is do to a FBA I gave it a go on my first sugar plum, using your post in the sewalong. I am yet to do a post for it, will do soon I hope. I really appreciated your post. I do a vertical bust adjustment on my Renfrew T’s. 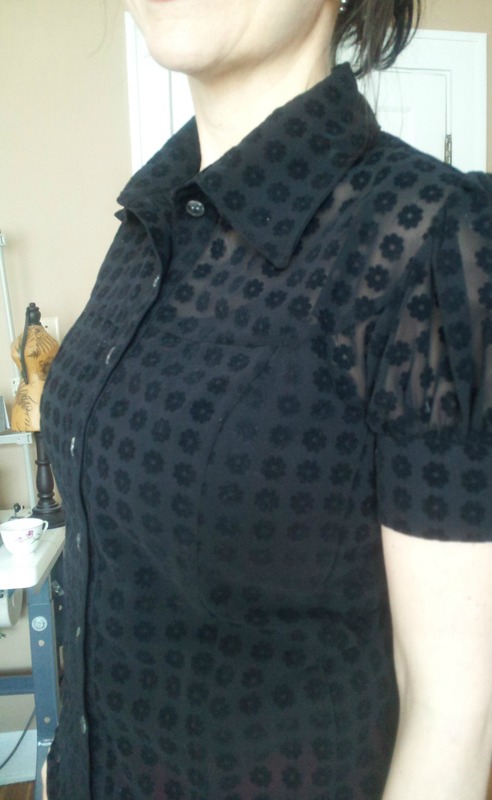 I did an FBA on my Amy Butler Liverpool tunic and the fit is terrific. 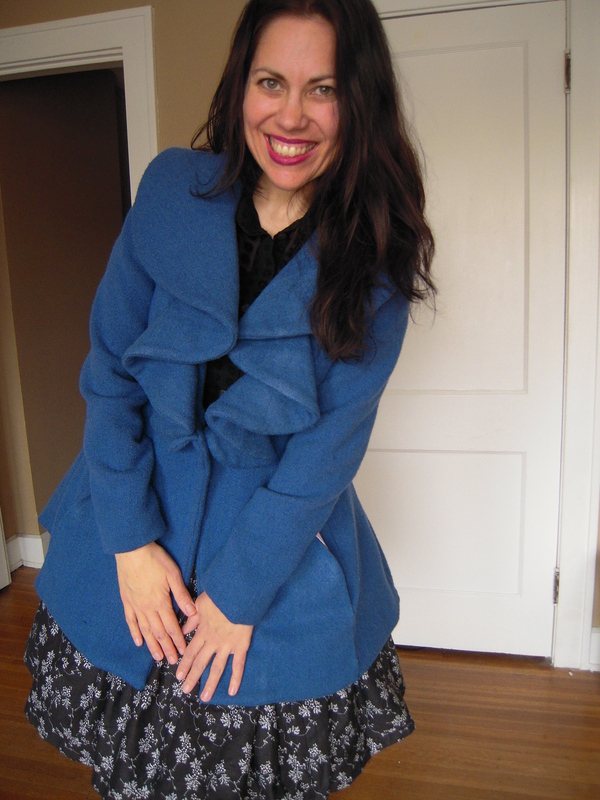 I did no FBA on a boxy vintage coat. I didn’t do an FBA on the Victory Lola (a knit) , and I am not sure if it would have helped the fit or not. I made a woven vest and tweaked it. I think it would have been better with an FBA. It was an old pattern I used before that I remembered fit well, but I hadn’t realized that I have learned more about fit since I made the vest and all the tweaking was just a pain. I intend to move forward on the next three projects with FBA’s all woven projects.